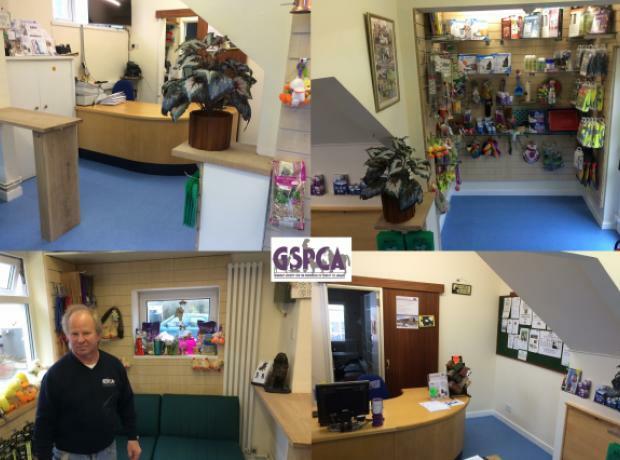 Over the Spring at the GSPCA we have redecorated our reception area thanks to our team and some wonderful donations. KPMG when they moved offices kindly donated a selection of office equipment and their reception desk now greets you here at the GSPCA which has replaced our old desk. Thanks to Carpet Solutions who donated new vinyl we have been able to replace the old flooring in reception and E & G Carpet Fitters helped to lay it with our team in assistance preparing the old floor.